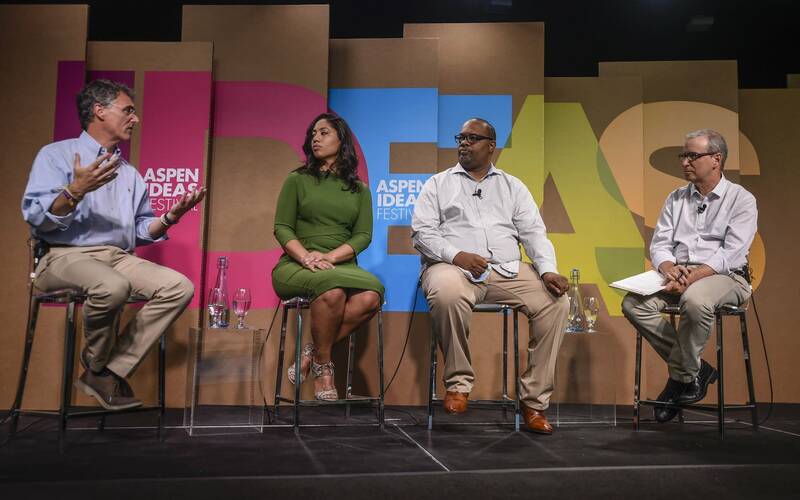 A discussion from the Aspen Ideas Festival about how to stop the violence in America's cities. A Chicago pastor, the Cook County Sheriff and a former high school principal turned philanthropist share their insights. They say violence is not amenable to a quick political solution, but offer up some promising strategies. Thomas Dart is the Cook County Sheriff and a former Illinois State Representative, Corey Brooks is the pastor of New Beginnings Church in Chicago and founder of H.O.O.D. and Liz Dozier is a former high school principal, now with the philanthropic group, Chicago Beyond. Moderated by Ron Brownstein of The Atlantic, on June 27, 2017 at the Aspen Ideas Festival in Aspen, Colorado.